Each Friday we highlight a wine from the Northwest that we think is a real "find." By find we might mean that it's a steal, as all of these wines we'll feature weekly are at or under $20. We might also mean "Hey, you really need to go find this", and it might be a wine that we feel not enough people know about. In any case, with the weekend pending, we're hoping to help you "find" a wine to kickoff the weekend right. We'll tell you a little bit about the wine and try to help you track it down here in the Northwest. Twenty two years, that's a fairly long time to do any one thing right? And so Tuesday night I was left to contemplate that idea. 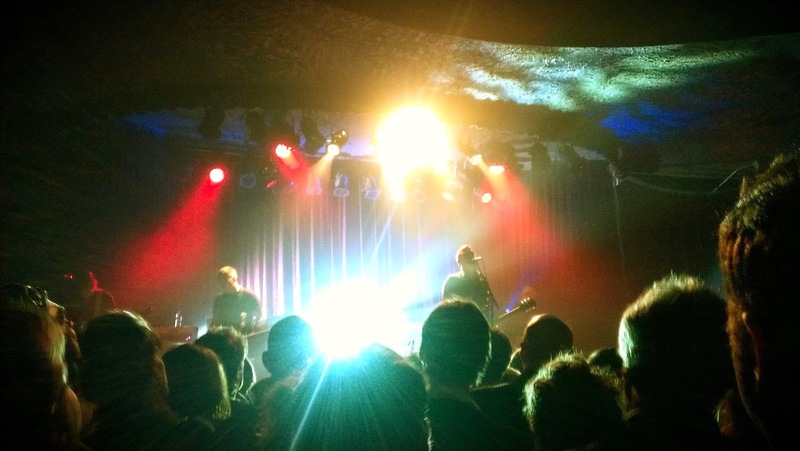 I went to the Showbox in Seattle to see my favorite band. The Afghan Whigs, who I've been listening to for 22 years now. Someone, this guy Kevin, gave me a copy of their second release on Sub Pop Congregation on cassette. Remember cassettes? This was in highschool, that was a long, long time ago. It so it was that twenty two years later that I stood at the Showbox waiting for the band to take the stage. The Afghan Whigs, from Cincinnati, rose up as contemporaries to much more famous and lauded Seattle area grunge acts as Nirvana, Pearl Jam and Soundgarden. And while they shared a label, the Whigs sound, particularly as it grew became more and more soulful. This left them out of the grunge spotlight and it's likely why many people missed out on them. Their sound has been described as a mix of 70s soul and R&B alongside rockin' punk riffs. The front man Greg Dulli's lyrics more emotive and provocative than anything that Kurt Cobain, or Eddie Vedder could conjure on their best days. The bands last album, or so we thought came out in 1998 and Greg Dulli would go on to produce music with the equally outstanding Twilight Singers, as well as tour solo. Since I moved to Seattle I bet I've gone to see Greg Dulli perform at least ten times, whether it was with the Twilight Singers, with Mark Lanegan on their Gutter Twin project or now twice formally and once informally with John Curley as the reunited Afghan Whigs. My favorite of those performances was an acoustic solo show Dulli did at the Triple Door. I went to both nights. So Tuesday night as The Afghan Whigs (or at least two of the original members) set to take the stage, I took in the scene in the crowd. Things are different now, many of us have children, careers, grey hair, if we've been lucky to keep it. As an older Greg Dulli and John Curley took to the stage they ripped into classic tunes and belted out tracks from the new and spectacular album, Do To The Beast. Greg still has it, The Afghan Whigs still have it, and so do we. Don't get older, get better, stay fresh forever. 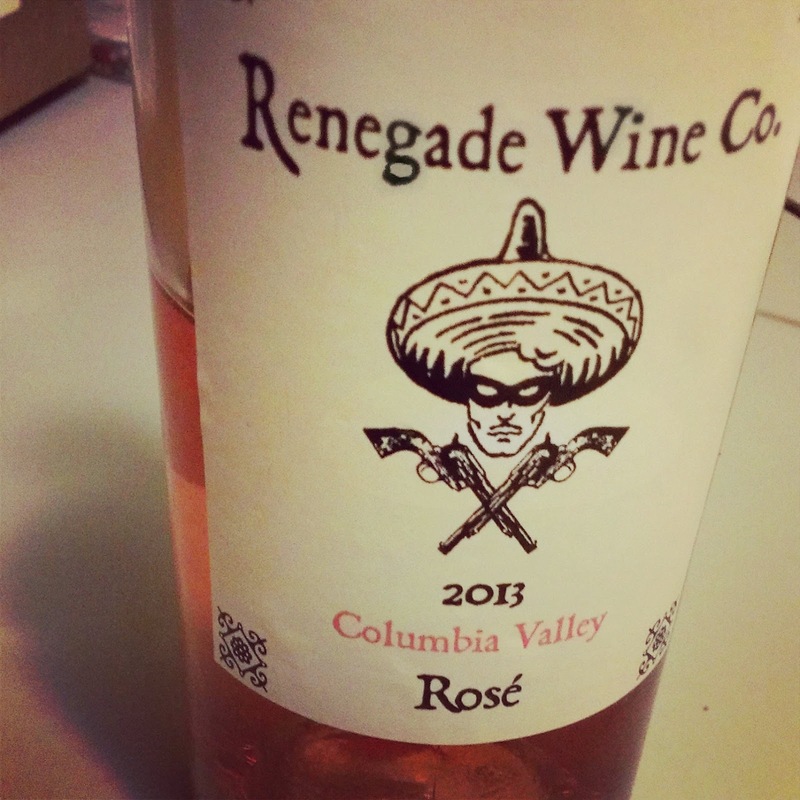 In a nod to both retaining our everlasting freshness as well as to a winemaker whose also quite The Afghan Whigs fan, today's Friday Find is from Renegade Wine Co., the 2013 Columbia Valley Róse. (Renegade is a second label for Trey Busch of Sleight of Hand Cellars.) The wine is typically a blend of Syrah, Cinsault and Mourvedre (full disclosure I forgot to look at the back label we drank it so fast) and it's uber fresh, loaded with juicy watermelon flavors. The wine is ridiculously approachable in terms of price coming in right around $10 mark. If you're looking to establish a house wine at your place for the summer weather, this might be the one. If you want to learn more about this particular wine and chat with some like-minded folks, maybe even the winemaker, you should consider participating in the Virtual Tasting offered up by Sean Sullivan of The Washington Wine Report. This wine will be featured next week, details can be found here. Oregogne; What's So "Burgundian" About Oregon Pinot Noir?